Sam Houston State University will join in support of our military servicemen and women by symbolically “carrying their load” during the third annual Military Ruck March on Sept. 22. This year’s competitive, eight-mile march—adding three miles to the previous years’ event—will begin at 8 a.m. at the Huntsville State Park, six miles southwest of Huntsville off Interstate 45 on Park Road 40. Registration will begin at 6 a.m., followed by an opening ceremony. The foot march began in 2010 as both a fundraising endeavor and a way to commemorate and bring attention to the physical, mental, and emotional “load” that military/veterans and civil service members carry daily. Participants can enter the event individually or as two- or four-person teams. Prizes will be awarded in eight categories, with divisions for military personnel carrying 45 and 60 pound rucksacks, civilian and individuals. The cost to participate is $100 per military team of four, or $25 per military individual, carrying a 45-pound rucksack; $60 per military team of two, or $30 per military individual, carrying a 60-pound rucksack; $80 per civilian team of four, or $20 per individual, carrying a 25-pound rucksack; and $15 per individual civilian or military personnel carrying no rucksack. All proceeds benefit the Warrior and Family Support Center at the Brooke Army Medical Center, the Walker County Sheriff's Department, and the Huntsville Volunteer Fire Department. “Participation in the past two years has been pretty consistent at around 400 folks, and we're looking to exceed that this year,” Bullion said. Participants can pre-register by mailing in registration forms, available online at http://www.shsu.edu/~reg_www/veterans.html or by dropping forms off in the Veterans Success at Sam Office, in Estill Building Room 104. Early registration is not required but is encouraged. The mail-in deadline is Sept. 14. For more information contact Bullion at 936.294.4079 or jbullion@shsu.edu. Tracy Bilsing, associate professor of English, will kick off the English department’s fall Friday Forum Series on Sept. 7 when she will present her work on modernist writer Katherine Mansfield. The presentation will be held from 3-4 p.m. in Evans Complex Room 212. “The manipulated, deliberately visual presence of food in Mansfield’s war literature acts as a narrative strategy encoding the progression of her experience of the Great War,” Bilsing said. Bilsing, who has taught at SHSU for more than 25 years, earned her doctorate from Texas A&M University, where she completed her dissertation that focused on the effect of World War I on the “home front,” as portrayed in the fiction of such authors as Rudyard Kipling, Mansfield, Virginia Woolf, and D.H. Lawrence, among others. She earned her bachelor’s and master’s degrees from SHSU. Among her areas of expertise are 20th century British literature, British short fiction, literature of the Great War, short story theory, and composition. The English department’s Friday Faculty Forum series is designed to expose students to the research interests of SHSU faculty and graduate students. For more information, contact English professor Paul Child at 936.294.1412 or eng_pwc@shsu.edu. 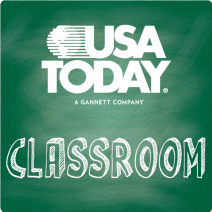 USA Today announced Wednesday that SHSU would be the first higher education institution in the nation to provide its iPad application, USA Today Classroom, now available free to all faculty and students. The app is also available on the Android Tablet. Through the app, students and faculty can stay informed on the latest national and world news by accessing digital copies of the newspaper, as well as news feeds from all of its sections. Also among the features are the ability to access the Saturday edition of USA Today, available only as an electronic edition, and search the archives for past articles. The app is expected to be available for other devices in the future. The Collegiate Readership Program is a collaborative program between USA Today and SHSU that encourages students to be aware of current events by providing free access to The Huntsville Item, Houston Chronicle and USA Today. Bring together talented actors and dancers, skilled scene, lighting and costume technicians, invite some friends and you’ve not only got yourself a production, you’ve got a party. The Sam Houston State University Department of Theatre and Musical Theatre and the Department of Dance will presents “An Evening at the Moulin Rouge,” the 2012-2013 Scholarship Gala, on Sept. 14 at 6 p.m. in the James and Nancy Gaertner Performing Arts Center. An annual tradition for more than 10 years, the gala provides scholarships for theatre, musical theatre and dance students. Many of the dance and theatre students will be on hand as performers, providing the departments “an opportunity to collaborate and show off what our students can do,” Stefaniak said. Theatre and dance chairs Penelope Hasekoester and Jennifer Pontius, respectively, along with faculty members Jonathan Charles and Laura Avery organized the entertainment to fit the Moulin Rouge; the Revue Amoureuse offers up a variety of dance and theatre pieces. In the lobby during the silent auction, Le Moulin Rouge Cabaret singers will also perform. “Everyone auditioned to be part of the gala performance, but every student has the opportunity to participate in some way,” Stefaniak said. The theme of the evening will be made complete when the Gaertner Performing Arts Center Lobby is transformed into a Parisian delight. “The costume shop will drape jewel-toned fabrics on the staircases and around the lobby and dance technical director David Deveau will design the lighting in the lobby and the dance theatre,” Stefaniak said. Patrons will have the chance to enjoy buffet-style appetizers and a cash bar, milling around freely or joining friends at tables, while trying to outbid one another for silent auction items from 6-8 p.m. and then again during a live auction at 8 p.m.
Tickets are $50 per person and $30 for SHSU theatre, musical theatre and dance parents or alumni. Forty dollars of the ticket price is tax deductible. For more information, call 936.294.3968 or visit the gala Facebook page at http://www.facebook.com/#!/shsuTheatreDanceGala. The Sam Houston State University Office of Alumni Relations is inviting faculty and staff to join in celebrating the “legacy” of SHSU by combining the annual Party on the Patio and the inaugural Legacy Reception on Friday (Sept. 7). Held in conjunction with Bearkat Family Weekend, the event will be held from 4-6 p.m. on the Alumni Patio, on the second-floor level of the John R. Ragsdale Visitor and Alumni Center. Party on the Patio traditionally provides an opportunity for faculty and staff on campus to mingle, as well as meet new colleagues on campus before the semester starts; this year, with the creation of the Legacy Reception, the association decided to combine the events as a way to welcome all new and returning Bearkats, as well as their families, according to Charlie Vienne, executive director for Alumni Relations. The Party on the Patio will immediately precede the Friday night family weekend pep rally in Bearkat Plaza. The pep rally will feature speakers such as university President Dana Gibson, head football Coach Willie Fritz, Bearkat football players, the Bearkat Marching Band and spirit squads, and emceed by Miss Sam Houston Angelic Ortiz. In addition to enjoying drinks, snacks and a DJ, the Party on the Patio also will provide an opportunity for faculty and staff to demonstrate their Bearkat pride and join the Alumni Association at a discounted rate of $25. Payroll deduction is also available for those interested in life membership. For more information, contact the Office of Alumni Relations at 936.294.1841. 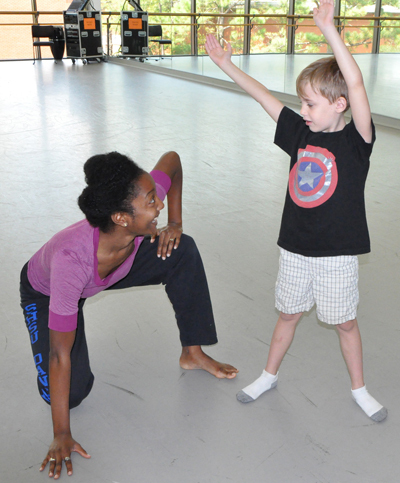 The Sam Houston State University Department of Dance will share their gifts with the community as part of a new, free “Creative Movement” class for Huntsville youth ages 3-8. “The department of dance is always looking for ways to reach out into the community, to use our gifts of dance to serve our community rather than just for performance,” said dance instructor Leslie Dockery. The class will be formatted around the basic concepts of dance, with more emphasis placed on moving and exploring movement. This allows students to experiment and explore their own movement, to practice new skills, and create something with these new skills, according to Dockery. Each session will end with a cool down and a checking in with students to see what they learned. Classes will meet on Sundays beginning Sept. 9 and will be held through Dec. 9. Spring classes will be held on Sundays from Jan. 20 through May 5. Classes will also be divided into three different meeting times based on ages—ages 3-4 will meet at 3 p.m., ages 5-6 will meet at 4 p.m., and ages 7-8 will meet at 5 p.m. Classes will be held in the James and Nancy Gaertner Performing Arts Center Studio 260. The class was conceived and taught last spring as part of Dockery’s “Dance Pedagogy” class, which required students to teach dance in the community. Dockery, who graduated last spring with a bachelor’s degree in dance and is now pursuing a master’s degree within SHSU’s College of Education, acknowledges the challenges of teaching young students, but is looking forward to the experience. To register for the classes, contact the dance department at 936.294.3342, or for more information, contact Dockery at lrd005@shsu.edu. If paying for tuition isn’t a big concern, what to do with your student loan tuition refund should be, according to Erik Johnson, who, as a Sam Houston State University’s Student Money Management Center financial peer counselor, said one of the issues he and other counselors address regularly is the inefficient handling of student loan refunds. To help students make responsible choices with their refund money and understand the consequences of mishandling their finances, the Bearkat OneCard Services Office and the SMMC will host a “Reducing Refund Regrets” workshop on Tuesday (Sept. 4). Led by Johnson and Jacob Brock, the workshop, which will be held from 3:30-4:20 p.m. in Lowman Student Center Room 315, will educate students on creating a spending plan and budgeting techniques that will stretch refunds. The center will also hold a contest in conjunction with the workshop, offering students the chance to win a Nook by “liking” the SMMC Facebook page and attending the Sept. 4 presentation. The Student Advising and Mentoring Center will “promote the success” of students transferring to Sam Houston State University this fall by introducing them to the campus and all of its resources during a new series of seminars. The Transfer Student Seminars will kick off with a meet and greet “to help transfer students feel at home” on campus on Thursday (Sept. 6), from 5-7 p.m. in College of Humanities and Social Sciences Building Room 170. “Transfer students bring a range of academic skills that many incoming freshmen acquire; however, transfers spend less time with us so these events are designed to help them identify as Bearkats and understand the things about SHSU that make us special,” said Bernice Strauss, SAM Center director for academic support programs. “We do a great job of Welcome Week for freshmen. This is a form of welcome for transfers. On Sept. 13, students can get acquainted with the academic services and opportunities offered by the university, and on Sept. 20, students can learn about some of the cultural and social services and opportunities available to them. “We want to introduce them to these services rather than making them discover them by accident or through desperation,” Strauss said. Finally, on Sept. 27, students can “think about what comes next” by networking with faculty from various academic departments to learn about research opportunities and graduate school. Like the first seminar, all of the events will be from 5-7 p.m. in CHSS Room 170. For more information, contact Strauss at sam_bss@shsu.edu or call the SAM Center at 936.294.4444. The SHSU Kat Krew are hoping to “draw” a crowd with their inaugural “Paint the Town Orange” basketball fundraiser on Sept. 15. Basketball fans will work with local artists Patsy Lindamood and Brenda Nichols to create a print of the Sam Houston Bearkat paw logo, take pictures with and get autographs from the Lady Kats, and support the team through a silent auction from 6-9 p.m. at Faith Lutheran Church. Lindamood also will give a discussion about art. “I think it’s going to be amazing,” said Nichols, a children’s book illustrator and women’s basketball head coach. Earlier this year, Lindamood began an art project where she paints scenes from basketball games, during which time she said she learned a lot about the players’ hard work both on the court and in the community. Attendees will paint on a board, the back of which will be signed by the entire SHSU women’s basketball team, and will be able to take home a piece of art suitable for framing. Money raised will help fund travel and incidental expenses for pre- and post-season tournament play. Members of the team will be on hand to take pictures with attendees, as well as provide free childcare for the evening. Refreshments will be provided and waiters will be serving guests. A silent auction will be held featuring items such as jewelry, a basketball signed by the team, basketball tickets, Mary Kay and Avon baskets, and artwork by Lindamood. Tickets are $25, and only 100 will be sold. Tickets are available by emailing kat_krew@yahoo.com, calling 936.294.1742, or can be purchased at Community Service Credit Union, at 250 FM 2821 or 2432 Sam Houston Ave.
SHSU students can get a feel for what services are at their disposal and meet the staff who are a part of those programs on Tuesday (Sept. 4). Student Services Day will showcase the division from 10 a.m. to 1 p.m. in the Lowman Student Center Atrium. Answering questions and handing out promotional materials will be representatives from 11 departments, programs, and offices, including the Vice President for Student Services, Bearkat OneCard, Student Money Management Center, Counseling Center, Dean of Students, Student Health Center, Lowman Student Center, Recreational Sports, Services for Students with Disabilities, Student Activities, and Student Legal and Mediation Services. Games and other giveaways will be available. For more information, call 936.294.1784. The Sam Houston Association for the Education of Young Children will work to educate those working with young children on the issue of abuse and neglect mandated reporting during a seminar on Sept. 15. The Child Abuse and Neglect Reporting Seminar, which will be held from 9-11:50 a.m. in Garrett Teacher Education Center Room 131, is designed to addresses definitions, indicators, and how to make a report to Child Protective Services, according to Miki Henderson, assistant professor of early childhood education at SHSU. “Mandated reporters” include police officers, firefighters, healthcare workers, social workers, coaches and teachers. Addressing these topics will be guest speakers Chris Stephenson, a long-time CPS worker and an expert on child abuse prevention, and Candice Tippens, GETCAP Head Start of Huntsville director. Stephenson, who was in the military before joining the Texas Department of Family and Protective Services, is now a private consultant who offers her knowledge and expertise about child abuse identification, reporting and prevention. Tippens, who has worked with at-risk populations of children and families for many years, will facilitate parts of the presentation and some activities. The seminar, open to everyone, is especially suited for students and community members in social service, criminal justice and education, Henderson said. Participants receive two-and-a-half hours of professional development in child abuse identification and reporting. The cost is $20 for community members and is free for students. Registration will be available on the day of the event. For more information, or to register, contact Henderson at 936.294.4638 or cmh055@shsu.edu.